Imagine smart homes or self-driving cars that communicate with each other. Or the day when doctors and teachers use virtual and augmented reality at hospitals and schools. Imagine trains, drones and cars forming transport systems that are safe, efficient and environment-friendly. Just imagine? Oh, you no longer have to. This all will be reality when 5G becomes our next standard for telecommunication. The development of 5G networks has been described as the fourth industrial revolution. Certainly big words, but they are based on the immense capacity of 5G technology: reaction time will be shorter, data transfer more extensive and a multiplied number users can access the network at the same time. This means that our wildest sci-fi fantasies can become reality. The industrial internet and other IoT solutions will take off and building massive self-operating factories will no longer be a far-fetched plan. In other words, 5G will boost industrial productivity to the levels not even Henry Ford could dream of. Experts anticipate that the most remarkable developments will be seen in applications and services that are created within the 5G ecosystem. And that is why technology alone is not enough. We’ll need smart applications, ideas and visions on how to use 5G networks and maximize their potential. To explore the possibilities of 5G we are organizing Oulu 5GFWD hackathon on June 9–11th together with Business Oulu and leading industry partners. For our Ultrahack community this means a fresh playground with the latest network technology. The city of Oulu has a great track record with mobile networks, so 5G is the next logical step. The ecosystem around 5G is building up fast, which means this is the time for developers to step in. Nokia made the first 5GTF connection in Oulu last December and the first 5G test network is currently operating at Oulu University Campus allowing technology experts and business developers to test their projects in real 5G environment. University of Oulu and Nokia Bell Labs have also started to co-operate in 5G development. At Oulu 5GFWD hackathon you can leverage the 5G test network at the University of Oulu premises. This means you can start building applications and solutions that actually work in 5G network. When the network is in wider use (estimate 2018–2020) you’ll already know what to expect — and be one step ahead of others. Do you want to work with Nokia, Telia or Oulu University Hospital? Oulu 5GFWD partners have crafted three challenges that inspire you to develop top-notch services around 5G networks. If you want to explore the possibilities of the IoT with 5G connectivity, join the Digital Factory Challenge. Nokia is inviting you to create solutions that make use of machine-learning, machine-to-machine communication and AI for the factory environment. Nokia manufactures high-end telecom network equipment in Oulu and the solutions you will create during the hackathon could be implemented into a real environment. Are you interested in mobile development? Telia is looking for mobile applications for the 5G era. Your solution could be focused on online virtual experiences, smart entertainment or applications for the school of future. How could patients benefit from 5G during hospital visit? Oulu University Hospital is looking for solutions that could make hospital visits more pleasant like applications that help patients to navigate and find their way in the hospital premises. Oulu University Hospital is also interested in utilizing AR and Robotics. How could they be used to assist patients? The prizes for Oulu 5GFWD hackathon amount to 25,000 euros including piloting opportunities. All the partners are looking for solutions that they could put in use, which means it’s all about hacking real project with great future potential. The winners of the Oulu 5GFWD hackathon get to showcase their project at the European Conference on Networks and Communications in June 2017! Plus one extra reason: Oulu 5GFWD hackathon will be held in June when the sun barely sets. This should help you to stay awake for those 48 hours…and be a great opportunity to experience the famous white summer nights in Finland. We are also supporting international contestants with travel grants, which means distance should not be a problem if you want to work with 5G! Apply now and join the 5G revolution! it’s latency could be less than millisecond. use considerably less energy than ever before. Oulu 5GFWD hackathon was launched at Polar Bear Pitching in Feb, 2017. Check out our pitches from the icy Gulf of Bothnia! 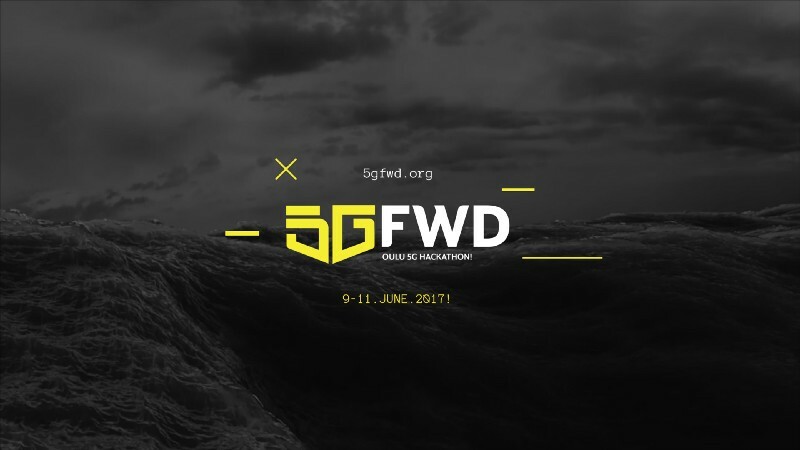 Apply to the Oulu 5GFWD hackathon by May 29th here.